Since 300,000+ learners following us have made use of our suggestions on courses in various topics, our team of experts has analyzed the best online Kubernetes courses, in order to provide useful information for the ones wishing to develop themselves on the subject. These courses will be helping beginners to learn Kubernetes from scratch, as well as helping intermediate learners and experts develop their knowledge. So, let’s have a look at the online courses, which include free and paid training on certain prestigious platforms. In this course, the fundamentals of containers and container orchestration technologies are introduced through Docker, Kubernetes, and Red Hat OpenShift Container Platform. Containerizing the applications and services, testing them using Docker, and deploying them on a Kubernetes cluster using Red Hat OpenShift are lectured throughout the course. During the course, the students are asked to build and deploy an application using the Source-to-Image facility of Red Hat OpenShift. At the end of the course, you will be able to create containerized services. You will learn to manage containers and container images, and to create custom container images. The course teaches the students how to deploy containerized applications on Red Hat OpenShift. This course provides an introduction to Kubernetes for the developers, DevOps engineers, and IT professionals. During the course, the students learn building a Kubernetes cluster on Mac or Windows using Minikube, together with an understanding of its components. Afterwards, the students are supposed to deploy a sample Kubernetes application. In this phase, the Kubernetes dashboard is introduced as well. 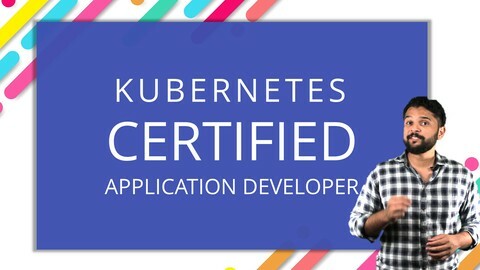 The final phase of the course covers more complicated application of Kubernetes with a database and APIs, and more complex subjects such as production deployments, namespaces, monitoring, logging, authentication and authorization are also addressed. If you enroll in this course, you will be able to practice the course by downloading the files used to teach the course. You can also download the courses and learn Kubernetes on your mobile device on the go. By this, you will be able to watch the courses on your mobile device without any need for an internet connection. In the course, the basics of containerization and the position of the Kubernetes in containerization are explained. Demos are presented to visualize how the system is working. Topics such as deployments, services, and secrets are explained together with certain advanced topics and best practices. In this course, the students learn how to use Docker containers and deploy the workloads in Docker containers to Kubernetes clusters. The course is an intermediate level and accelerated one lasting in 5 hours and the students become aware of deploying new codes in a Kubernetes cluster to be able to update the applications. The understanding of container basics, containerizing an existing application, the understanding of Kubernetes concepts and principles and the ways to deploy applications to Kubernetes using the CLI are provided during the training. In this course, the students are provided with information on the applications on a Kubernetes cluster. The course includes lectures designed in a quite good fashion with the help of animations and illustrations. These animations and illustrations makes the course easy to understand and the complex concepts are understood easily. To get a certification at the end of the course, you need to pass a practical hands-on exam. In order to be able to pass this exam, students has to practice and has to be fast enough. During the course, quizzes are applied and instant feedbacks are provided, in addition to the assignments, which are evaluated as well. Additionally, a Kubernetes deployment is asked to be developed by the students, which will give the chance to interact with the other students in the community and get ready for the real world challenges. You also get access to the teachers and learners community on Slack, and you will be able to discuss your issues with the teachers other students. 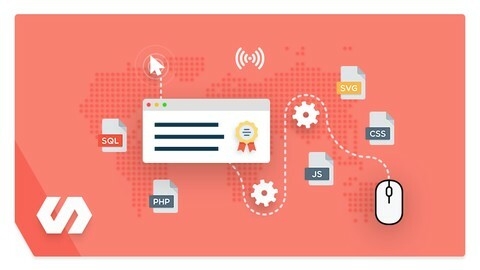 Before starting this course, it is better that the students have basic proficiency with command-line tools, Linux operating system environments, and Web server technologies such as Nginx. In the course, CI+CD Workflows, AWS Deployment and Kubernetes are covered. In this course, the students learn how to deploy a web application by means of Docker and Kubernetes. This is a strong course covering the fundamentals of the Docker concept, explaining the term container from the very beginning. Additionally, basic Docker CLI commands are presented to teach ow to work with the clusters. Moreover, an understanding of common Continuous Integration and Continuous Deployment patterns are provided to let the student learn how to implement a full CI + CD workflow using Github, Travis CI, and Amazon Web Services. During the course, you will also establish an application utilizing Node, React, Redis, and Postgres. And, finally, Kubernetes is covered. A Kubernetes cluster is built and it is moved into a cloud provider at the end of the course. The course allows students to learn Docker from scratch, no previous experience is required to start the course. In this course, deploying, using, and maintaining the applications on Kubernetes is presented to the students. If you are into DevOps, this is a technology you need to master. Kubernetes has gained a lot of popularity lately and it is a well sought skill by companies. During the course, you will learn how to build apps in containers using Docker and how to deploy these apps on a Kubernetes cluster. You will also learn using AWS and setting up your cluster on your desktop or on the cloud. You will be able to carry out various tasks and use various features of Kubernetes such as Healthchecks, Secrets, ConfigMaps, Cassandra cluster, Jenkins, Kubeless, Istio, adding users, setting quotas/limits, doing node maintenance, and monitoring. This course is frequently updated, so that, it will be including the features of latest releases! 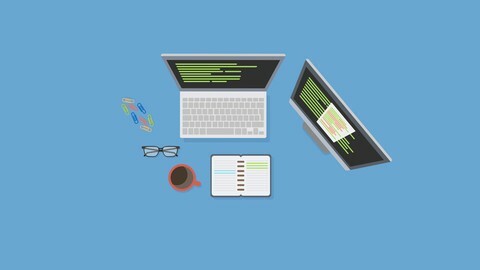 In this course, which is for beginners, the students are first asked complete hands-on coding exercises to prepare them for creating their own applications on a Kubernetes platform. There are 10 simple, step-by-step lectures in the course. The most important part in the course is the hands-on coding exercises, which are provided together with each major concept. In the course, you will develop your own services using Kubernetes configuration files. There are assignments as well to test the learning levels of the students. With these assignments and other different tasks given, the students are expected to get prepared to real life experiences. In the course, you will gain the basic understanding of Kubernetes fundamentals and you will be able to develop Kubernetes configuration files in YAML. At the end of the course, you will be deploying Kubernetes Cluster on local systems, on Cloud – Google Cloud Platform, and will be able to deploy applications on Kubernetes. 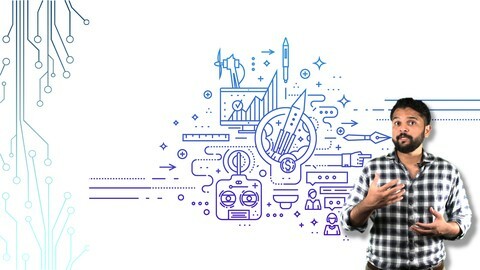 As you followed until now, we analyzed and listed the best online Kubernetes courses for you, in order to provide you a guide in developing yourself in your DevOps career. These online courses will help you get this precious knowledge in any part of the World, with incredibly cheap prices or for free. When you consider that the DevOps professionals and Kubernetes users have recently been earning quite good incomes, this opportunity seems to be a good one to be caught.